Blue Nightshade Poisoning is the accidental or intentional intake of the plant or plant product containing the compound. What is Blue Nightshade Poisoning? What are the Causes of Blue Nightshade Poisoning? What are the Signs and Symptoms of Blue Nightshade Poisoning? The signs and symptoms of Blue Nightshade Overdose can vary from one individual to another. It may be mild in some and severe in others. Several systems of the body, such as the digestive system, nervous system, vascular system, urinary system, and ENT may be affected. How is First Aid administered for Blue Nightshade Poisoning? Who should administer First Aid for Blue Nightshade Poisoning? 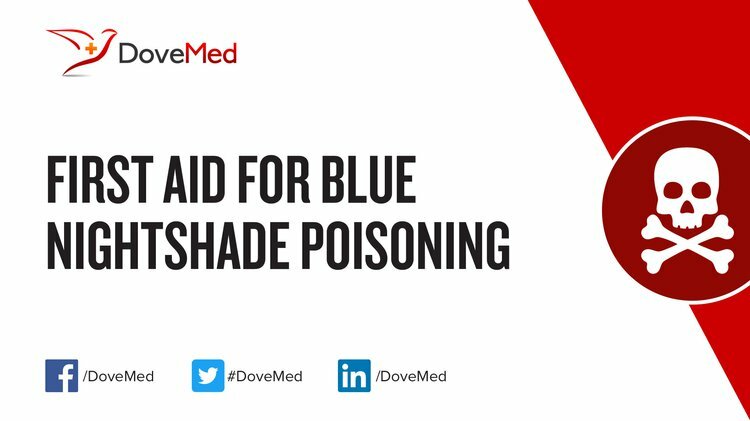 First aid for Blue Nightshade Poisoning is administered by healthcare professionals. What is the Prognosis of Blue Nightshade Poisoning? How can Blue Nightshade Poisoning be Prevented? Evens, Z. N., & Stellpflug, S. J. (2012). Holiday plants with toxic misconceptions. Western Journal of Emergency Medicine, 13(6), 538. Wagoner, D. (2011). Bittersweet Nightshade. Ecotone, 1(1), 266-266. Krenzelok, E. P. (2010). Aspects of Datura poisoning and treatment. Clinical Toxicology, 48(2), 104-110. Coleman, M. J., & Tomsak, R. L. (2014). A 15-year-old girl with variable anisocoria. Digital Journal of Ophthalmology: DJO, 20(1), 13. Forero, L., & Nader, G. (2013). Livestock-poisoning plants of California. UCANR Publications. Dowidar, A. (2015). Clinical quiz. Delta Journal of Ophthalmology, 16(1), 42-42. Agarwal, P., Bansal, S., Sharma, A., & Saini, V. K. (2014). Atropine poisoning mimicking septicemia. Annals of neurosciences, 21(1), 34. Colombo, M. L., Assisi, F., Della Puppa, T., Moro, P., Sesana, F. M., Bissoli, M., ... & Davanzo, F. (2010). Most commonly plant exposures and intoxications from outdoor toxic plants. J Pharm Sci Res, 2, 417-425.